The Central Hall, Market Street, was known by many names after opening in 1890 including: Operetta House, Lyric Hall and Bijou Theatre, Central Hall and Central Cinema. 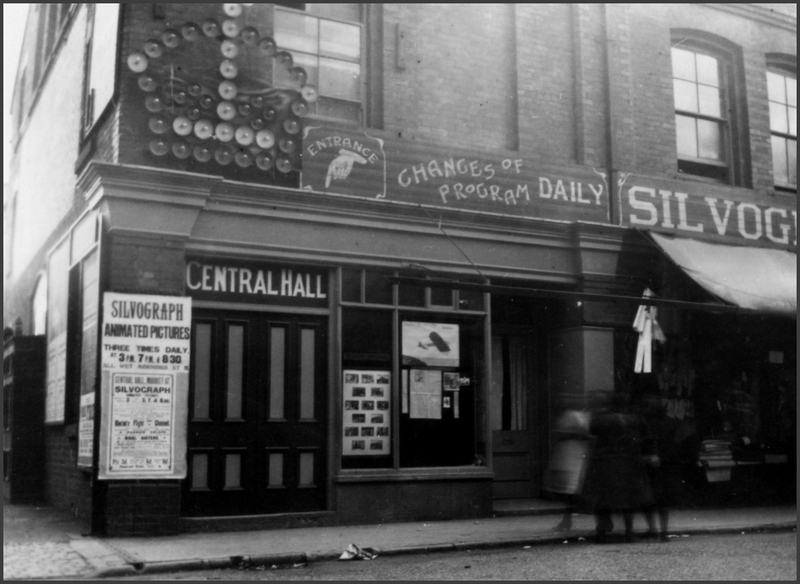 As a cinema it was most popularly known as “Cheetham’s”. image by permission, and copyright of, Ian Meyrick. This photograph was taken in 1909 by Ian Meyrick’s father, Charles O’ Reilly. One of the films being shown at the time was of Bleriot’s crossing of the English Channel. Mr O’ Reilly remembered Arthur Cheetham well and could recall him, or sometimes an assistant, standing at the front and describing what was on the screen. He remembered the line “He tells her he loves her, but is telling lies”! “With remarkable ingenuity the Silvograph pictures have been running daily as usual during the whole time the alterations and improvements have been going on, and it may be remarked upon that this week’s pictures are quite up to the high standard of excellence. Some of the principal ones are: “I will have a husband”, “Kind-hearted men”, “John wishes to marry a dancer”, “Flower Girl of Paris”, “Deer hunting in Canada”, “The Animal’s Friend”, “Mother Whipper” and “Suitable present for a son-in-law”. Pioneering film maker Arthur Cheetham, born in Derbyshire in 1864, moved to Wales in the 1880’s basing himself in Rhyl. He took up several jobs including printer, film exhibitor, hygienist and phrenologist. 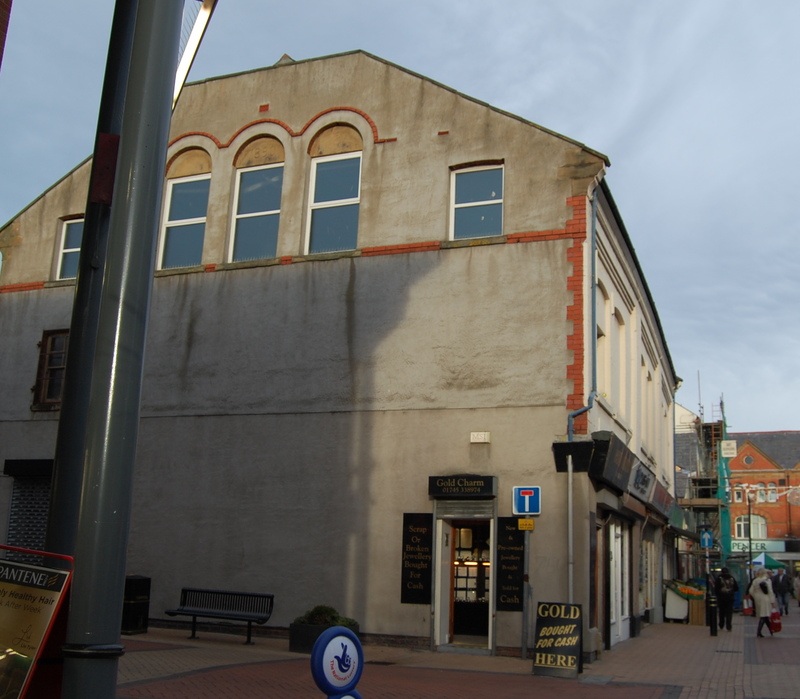 He first began to show films in Rhyl in 1897, at least eight of his films survive. He died in Tring, Herfordshire on 15th January 1937.